Gardening season is here, are you ready? 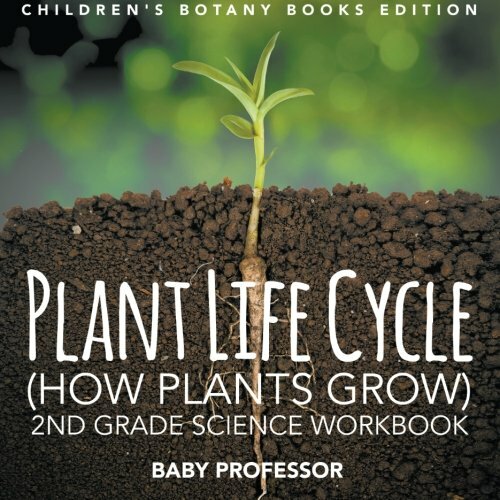 Get your kids excited about working in the garden by studying the plants that will be growing there. Beans are an easy plant to grow, they don’t take a lot of work and they’re the perfect science experiment. 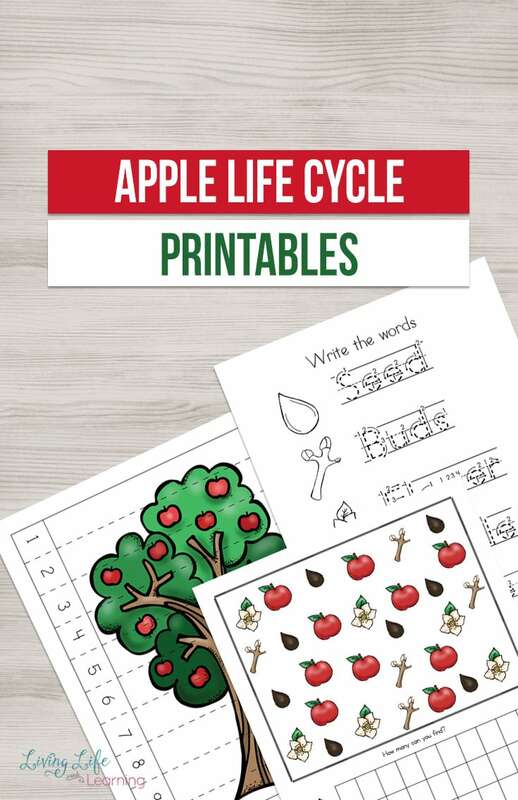 With these plant life cycle worksheets, you’ll be able to watch and name each life cycle stage. 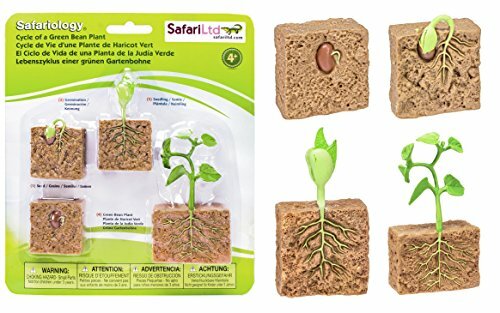 Plant your own beans and see how they evolve from seeds to seedlings and then plants which seed pods. 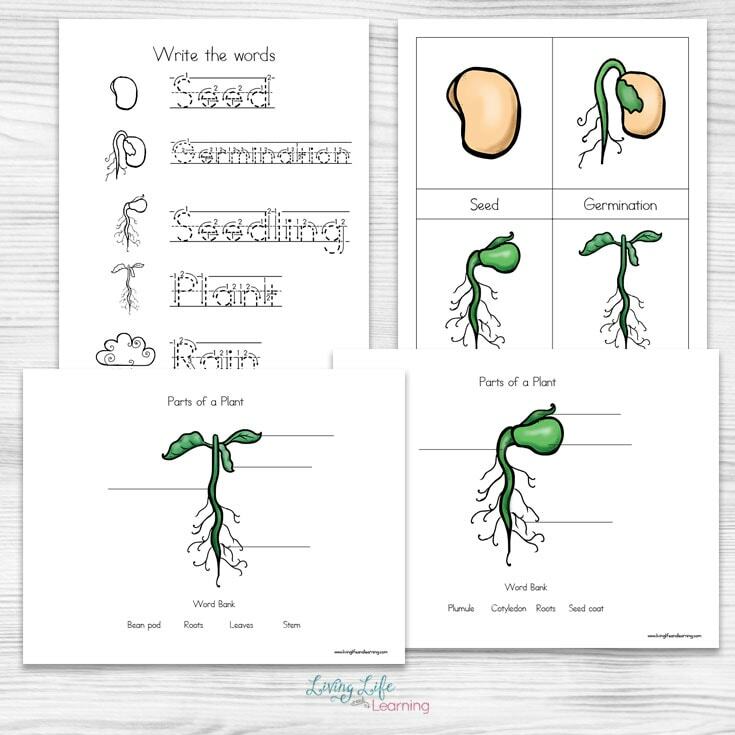 Teach them about germination and how plants have to have the right conditions to grow like temperature, soil nutrients, and moisture before they can sprout. Spring or summer is the perfect time to get outdoors, start a garden or plant some flowers. When your kids can see all of the work it takes for a plant to grow, they appreciate them so much more. Print the cards onto cardstock and laminate them if you wish. You can reuse the worksheets if you use a dry erase marker and a page protector. 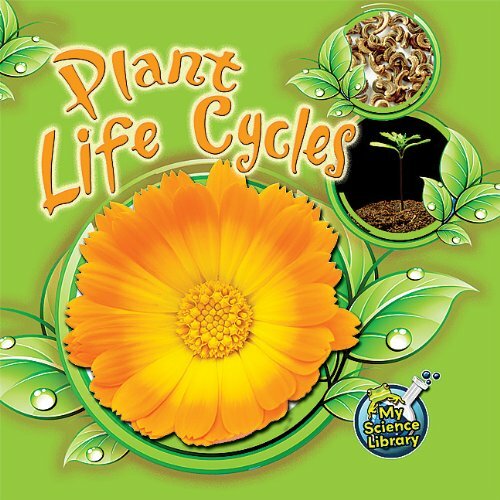 Try one of these plant life cycle books to learn about how plants grow from seed to adult. 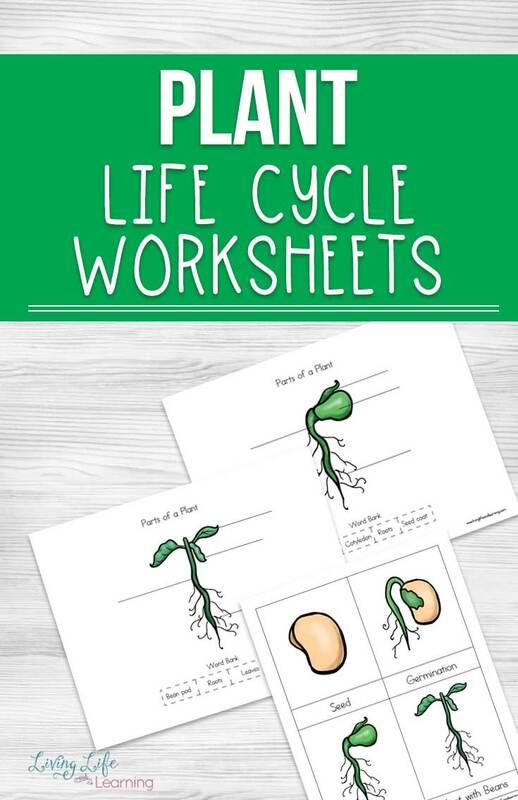 To extend this activity, plant beans in your own backyard and see if you can recognize the different life stages of the plant. How they go from seeds, germination, seedling and then forming flowers and producing beans. Then you can open up the beans to find more seeds, hence the circle of a bean plant. 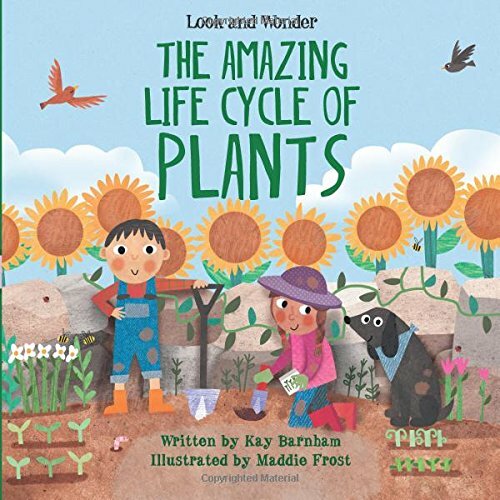 Kids love watching their plants grow from seeds, read your favorite plant books and take for a visit to your local garden center. Don’t miss this opportunity to teach them outdoors. My kids loved growing vegetables and fruit they could actually eat. Although backyard animals got to the fruits a lot quicker than we could, vegetables are always a treat when they come from the garden. 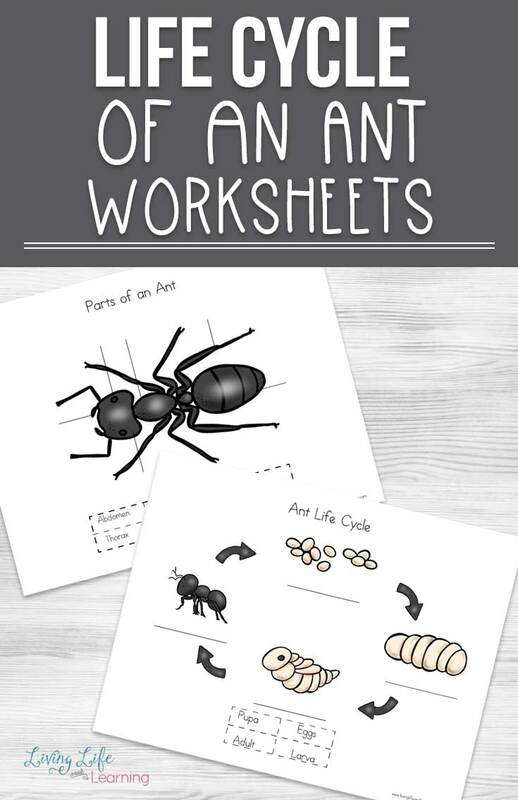 See the other fun science worksheets in this series – Free Printable Science Worksheets for Kids. Eeeeeek I’m so happy I found you! This looks great! 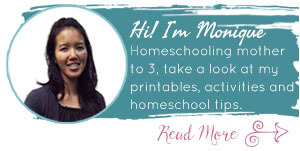 Appreciate your website printables and offers so much! Thanks! These all look great!! Love to see more printables on Geology. Thanks for the opportunity to win these great printables. Zoology and anatomy printables would be most helpful, right now. Thank you for the giveaway opportunity! These printables would be great for what I am planning this year and next. I would like to see about Rainbows or maybe include rainbows in a weather unit? Thank you! I love seeing printables for lower elementary on science topics. These bundles look awesome, and go right in hand with what I have planned for next year! For watching beans germinate, you can also tape a Ziploc to a window with bean/pea seeds and a damp paper towel. Have the kids check them periodically & observe the changes. You may also be able to do this by leaving a Ziploc bag of snap peas in a warm car for an unknown number of days…. #askmehowIknow! I would like to see printables on thee scientific method. These look very useful. If it hasn’t already been done, I’d love to see one on rocks & minerals or other geology topics. Can’t wait to use these printables! I would like science printables on genetics.